Since its reveal fans of the Diablo franchise have been voicing their vexation about Diablo Immortal, the upcoming mobile title based on the acclaimed and popular franchise. Since its debut game developers and journalist have come to defend the game with some going as far to insult the fans. One former employee from Blizzard Mark Kern, who led the team behind World of Warcraft and help develop some of Blizzard's other acclaimed titles such as Starcraft and Diablo II, took the side of the gamers stating that Blizzard has lost touch with gamers. Blizzard gamers are not smugly "entitled." Nor are they toxic, and they most certainly are not made about a mobile version of Diablo because they hates the wemyzn (the craziest blue-check theory I've seen so far). 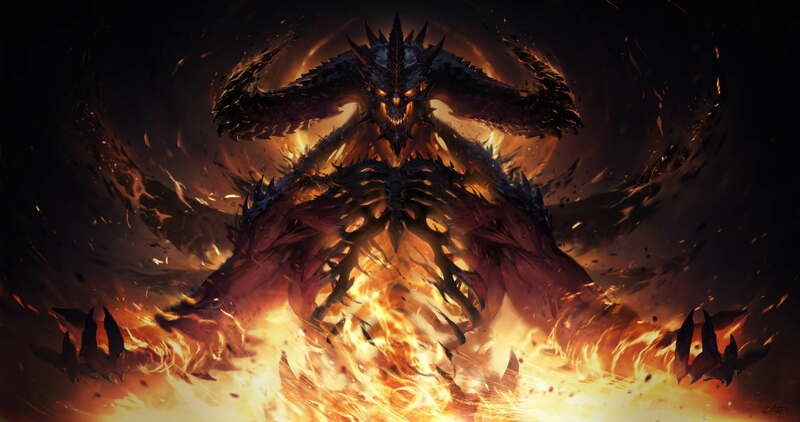 Blizzard has said now, that they are working on multiple Diablo projects. They really should have dropped a teaser for their PC based project alongside their mobile announcement if that's the case. Kern went on to explain how blaming the customer for not liking the product is not the way to go. And I like how Blizzard isn't blaming their customers (yet), but say they are "passionate." That's pretty good so far, but an apology an a PC reveal would be better. They are busy with Blizzcon wind-down, but I hope to see a better response after all this. As for mainstream game journalists, they ARE blaming gamers, and so are a lot of know-nothing devs in mobile and indie. To them I say: be prepared to lose a lot of customers and money. Because it's never right to blame your customers for your own PR blunders and learn nothing. Many fans are siding with Kern's statement with lots of gamers deciding not to download the game even if its a free-to-play title. The way Blizzard unveiled Diablo Immortal was strange. BlizzCon houses predominantly PC gamers and to end a series of presentations on a mobile title for one of the most critically acclaimed PC franchises of all time was a poor decision. Providing a tease for an upcoming PC Diablo project to end on would've been much better and probably not cause the storm that Blizzard is trying to calm.